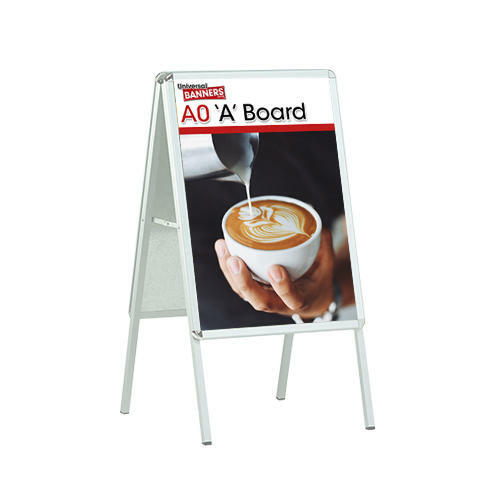 This A Board is a great advertisement board, made from aluminium complete with a front opening snap frame which allows for easy access to insert posters. This A0 poster display is ideal for advertising in shop fronts. The A board is also weatherproof and therefore is durable for outdoor use at retail and catering promotions such as food festivals, Christmas markets etc.